The inaugural volume in Liberty Fund’s new Collected Works of Israel M. Kirzner series established Kirzner as a careful and meticulous scholar of economics. No other living economist is so closely associated with the Austrian school of economics as Israel M. Kirzner, Professor Emeritus of Economics at New York University. He has been a leader of the generation of Austrian school economists following Ludwig von Mises and F. A. Hayek. 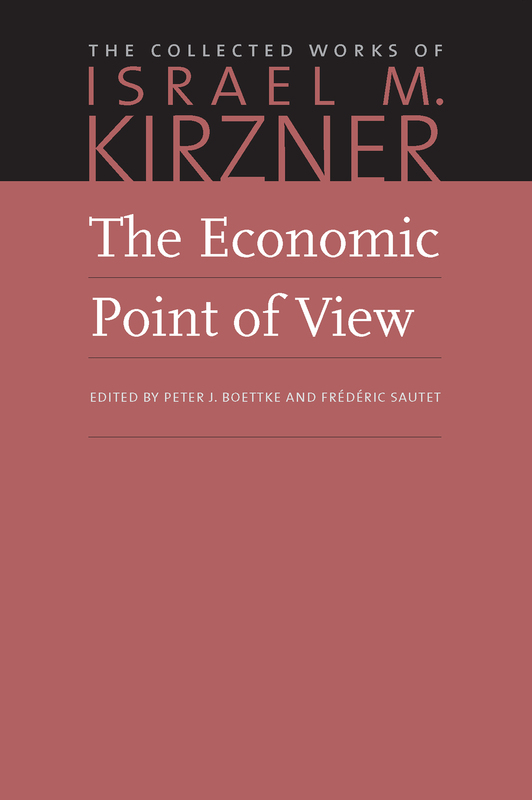 In this work, Kirzner explains how the “economic point of view” emerged in the development of economic science since the eighteenth century and through it, the concepts of purpose, subjectivism, and rationality. Kirzner’s incomparable ability to navigate through the core ideas of economics helps the reader become progressively familiar with the history of the discipline and its definition. Within the seven chapters, Kirzner discusses such subjects as the science of wealth and welfare; the nature of economic science and the significance of macroeconomics; and the sciences as human action. Introduction to the Liberty Fund edition, foreword by Ludwig von Mises, Becker-Kirzner Debate, introduction to the second edition, author’s preface, index.